Have you ever been persuaded to practice Yoga in the open and sacred place? Come to the Yoga Retreats in Nepal and fulfil all your desires. You have always cherished the alluring sites of Nepal and fond of those mystical mountains and greeneries, right? Some of you may have even called on to this place and treasured the most amazing moment spent here. But are you aware of the account that Nepal has planned Yoga Retreats for you? 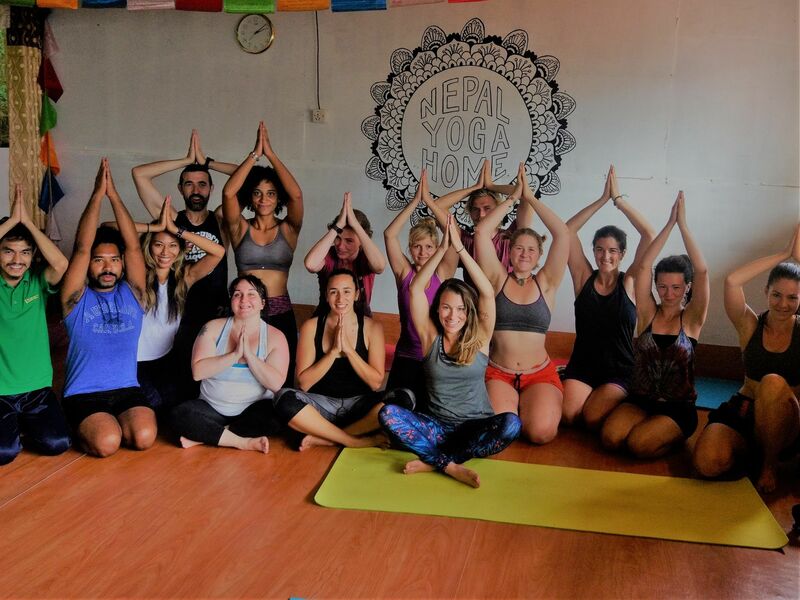 Yes, Nepal has designed programs for Yoga Retreats in its different attractive regions and has all possible amenities for the Yoga lovers. Give yourself a break and join the spiritual holiday at Nepal!! Nepal is known for its greeneries, mountains like Everest, high peaks, waterfalls, sacred places, beautiful sunsets and many more. Nepal is also home to hiking and trekking adventures. People visits Nepal for numerous reasons, some are tempted by the call of mystical mountains and evoke interest to go for hiking and trekking in the Himalayas. Some others are fascinated by the Nepalese culture and recreational activities and yet some others are in search of true spirituality by practising Yoga. Traditionally, the ancient art of Yoga is been practised by the natives of India to attain spirituality. But now a days, practising Yoga is popular through worldwide. Everyone is aware of the benefits of Yoga and so added it in their daily lifestyle. They made it as their regular physical exercise which not only provides flexibility to your body but also purifies your mind. Yoga is a practice of mind and body. It furnishes varied profits to your mental health and physical fitness. Some exercise Yoga to obtain spiritual element, some others are interested to increase the fitness and flexibility levels while some others absorb it to cure illness and health disorders. Hence practising Yoga is considered as all round development of your body as well as mind. There are many forms, types and kinds of Yoga. Practicing one of each or practicing the all will be fruitful for you. If you are really interested in practising Yoga and set a goal in your mind then you will come to know which class of Yoga should be practised by you. The different classes of Yoga have many physical postures and positions which are even relevant to your mind. At first, you will face little trouble while practising the actual posture but over the time the posture will begin to correct itself. It strengthens your body and mind. An amazing power to add flexibility in your body. A spiritual effect to provide peace to your mind. It has various breathing postures which helps you to breathe clearly. Mental patience and physical stamina can be evaluated while holding different postures. It increases strength to your arm and shoulder. The condition of your spine will be better than before as the different back muscles will begin to support it effectively. Building core muscles aids in refining your abdominals and oblique. The muscles behind the hips will be stretched and boost energy. Others muscles such as quads, glutes, calves and hamstrings are also strengthened. No matter what body problem or mental tensions you have or if you just want to the increase the fitness level, the Yoga has the power to cure all your illness and thereby refreshes you. Practicing Yoga, you will live each day of your life more energetically. Nepal has designed Yoga retreats for the lovers of Yoga. If you practice Yoga then you must join this yoga retreat programs in order to achieve more professional and pure form of Yoga from the qualified instructors. This tour will guide you to practice Yoga in the correct form and also provides meditation practices. Here, you will come to know about the actual meaning of Yoga, its origin, the various classes of it and gain other relevant knowledge. You will also obtain the spirituality of performing Yoga in such a sacred place. The tour will also make you witness various alluring and fabulous regions of Nepal in the leisure time. Coming over here you will also enjoy the adventurous things like hiking and trekking. You will also have the opportunity to hike and trek the mystical mountains of Nepal and thereby perform Yoga in the peaks. Nepal offers various camp tours which include hiking or trekking and even practicing Yoga and meditation. During the tours you will spectacle foggy hill stations, numerous floras and faunas, delineate the stimulating peaks of Annapurna and Fishtail. The incredibly built roads will elevate you and you will be overwhelmed by the snow covered jungles and paths. The dazzling sunset will take you to the next level. It is recommended for the trekkers or hikers to carry the necessary items for this tour. Please remember to bring the hiking boots, socks, water bottle, tight sleeping materials so that it can protect you from the strong wind, and a first aid box. Avoid brining unnecessary items to skip difficulties. Your journey will start from the place of Pokhara and it will take you to the amazing Annapurna Himalaya regions. You will witness many rivers, lakes and wildlife in this journey. You will also help the Australian owners to support the Nepalese to grow by contributing to this tour. You will be provided with daily yoga sessions, meditation classes, and daily meals with snacks on the trek for the journey of two days. The skill level is for the beginners and the intermediate ones. The different form of Yoga styles that will be practised here are Hatha, Power, Dynamic, Restorative and Ashtanga. The medium of the languages here will be Hindi, Nepali, and English. This program includes 3 day trek to the village of Nagarkot and the remaining two days you can relish the beautiful sites by practising meditation. You will also enjoy the yoga and hiking opportunities it provides. The Yoga styles, here, include Hatha Yoga, Nidra Yoga, and Restorative Yoga. The daily vegetarian foods will be served here and there is no chance of non-vegetarian food stuffs. The skill level that will be used here is for beginner, intermediate, advanced practitioners. Along with trekking and hiking you will be able to practice Yoga and meditation on the regular basis. The tour will be in Pokhara, Nepal and includes 9 days of journey. The Yoga styles include Hatha Yoga, Nidra Yoga and Restorative Yoga. You will be served with vegetarian and organic food stuffs. The skill level is for beginners and intermediates. You will practice Yoga along with meditation twice daily. The retreat is focussed on cleaning and healing the stomach, large and small intestines. The basic language that will be used are English and Nepalese. You will also find leisure hours to spend quality time over the place. Aspire your ambition towards practising Yoga in the amazing land of Nepal!